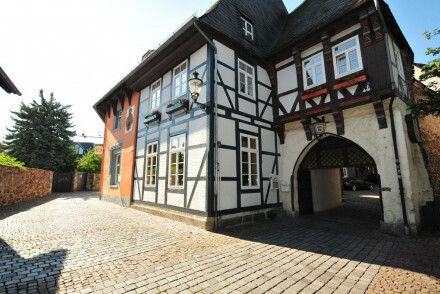 This gem of a hotel is set in historic buildings in the heart of Goslar old town. Romantic rooms combine original features, such as exposed beams, with crisp fabrics and modern comforts. 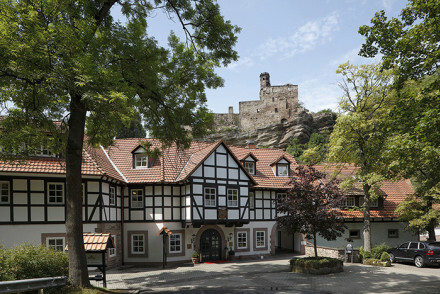 The perfect base for exploring the medieval town and scenic Harz Mountains. Ideal for families and honeymooners. 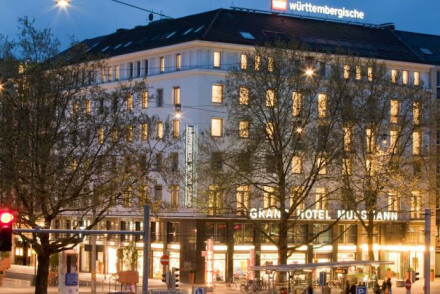 A contemporary hotel boasting an excellent city location. Individually styled rooms are minimalist with splashes of colour coming from feature walls, and modern bathrooms. The restaurant serves up excellent regional dishes. Very good transport links for city exploring. A chic choice. 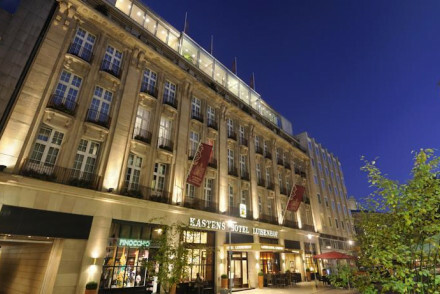 Local exploring - A well positioned hotel with easy access to the city centre making this a great choice for exploring the city. Sights nearby - Marvel at the opulent architectire of the New Town Hall. Great walks - Take a stroll around the regal Herrenhausen Gardens. 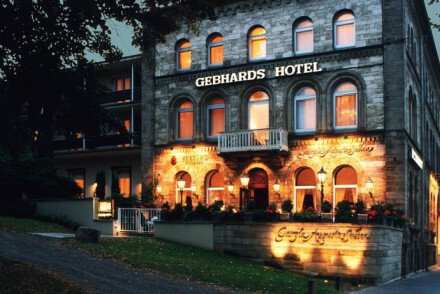 A charming hotel, with a rich history to match the surrounding rustic town of Duderstadt. Its rooms are light and spacious and its restaurant is ideal for sampling local sausage delicacies. A standout feature is its unique art collection, boasting a series of Warhol polaroids. A great value choice. Active Holiday - Great launchpad for an active holiday with the hotel offering packages for golfing and cycling. Family - Children under 4 stay free of charge. Spa - Enjoy relaxing in a fully equipped spa. Elegant former 17th century Baroque palace offering rooms and suites with a decor inspired by the region's history. The rooms are of a regal style, with antiques, exposed beams and paintings, while some come with a balcony. A 5-star hotel with two restaurants, a spa and indoor pool. Spa breaks - The Spa has a heated indoor pool, sauna, gym and a range of beauty and massage treatments on offer. Local exploring - Celle has many beautiful old buildings, from St. Mary's Church to the Synagogue. Local markets - Celle's Christmas Market, selling all forms of objet d'art and local produce, is a must-see and must-taste experience. Sights nearby - Celle's synagogue, one of the oldest Jewish places of worship in Northern Germany, is worth visiting. 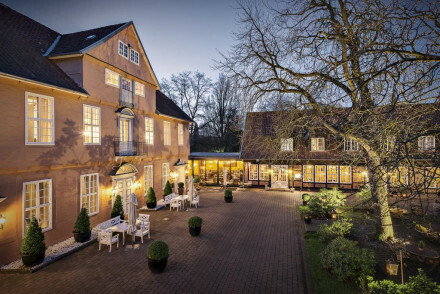 Set in a 17th-century half-timbered building in the heart of historic Osnabrück, this enchanting hotel blends traditional charm with modern comforts. The cosy rooms, some with exposed beams, have hosted many famous guests over the years. The excellent Walhalla Restaurant is Michelin-recommended. Enjoy the opulence and luxury of Hanover's only five-star hotel. Set in a classical building, its rooms carry an air of understated elegance. 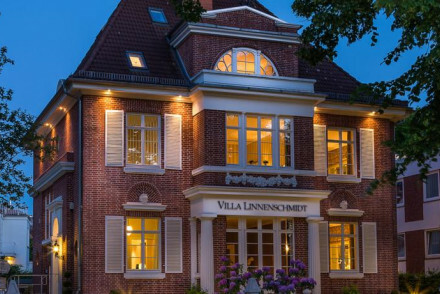 Located a stone's throw from Hanover's historic old town, its ideal for a weekend break in Saxony's capital. Also well suited to those in Hamburg on business. Sights nearby - Hanover Zoo is twenty minutes walk away. Contemporary meets tradition at this 4 star country-style hotel. Rooms are warm and welcoming in neutral tonnes. The restaurant crafts inventive dishes out of fresh local produce. Unwind and recharge in the lovely gardens or in the wellness centre with a spa and sauna. Families - Suites can accomadate extra beds and are well suited for families, plus there is plenty of room the little ones to run around. Local exploring - A great spot for history buffs, Forsthaus Heiligenberg is well known for its archaeological sites. 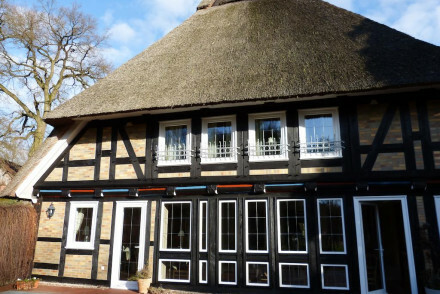 Back to Nature - Nestled in a romantic garden, surrounded by the picturesque Hohenkamp Forest. Great walks - There are plenty of walks through the surrounding forests. This quaint hotel is set in a peaceful rural location and has a range of chic rooms. For those looking to stay active and explore your surroundings there's nearby cycling, hiking and canoeing or you can relax with a massage or by going fishing. Free parking available and a Mediterranean restaurant. 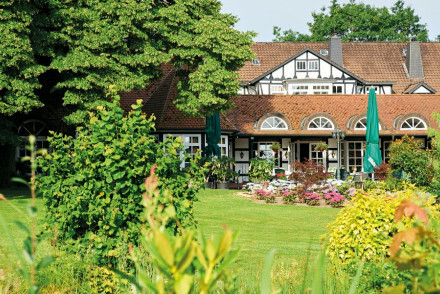 This traditional Saxony hotel has historic grandeur with a modern finish. The best of the rooms have sumptuous four-poster beds and open out onto the verdant gardens surrounding the guesthouse, while the à la carte restaurant offers indoor and outdoor dining. Popular with couples and families alike. 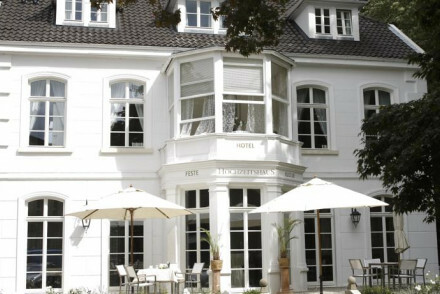 Just 3km from the lovely North Sea beaches, this charming hotel in Norden's centre offers the best of East Frisian hospitality. Romantic rooms, individually designed in attractive colours, are full of little surprises and the food is excellent. Fun activities for all ages can be enjoyed in the area. A rural property set in expansive grounds with multiple sporting facilities. Large light-filled rooms with simple traditional furniture, chintz fabrics, and large balconies. The restaurant serves regional cuisine in a rustic dining room, and the wellness area is perfect for completely unwinding. Active Holiday - This property has multiple in-house sports facilities including a football pitch, gym and tennis courts. Total relaxation - A great spot to unwind, with a wellness spa, outdoor hot tub and lovely tranquil mountain surrounds. 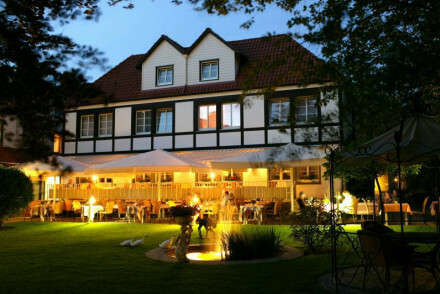 Discover the magic of the Harz Mountains at this delightful hotel in Bad Harzburg. Eighty cheerful rooms and suites provide every comfort after a day of fresh air and fun. Enjoy palate-pleasing regional and international dishes at Restaurant Behnecke and rejuvenate body and soul at the Beauty Farm. 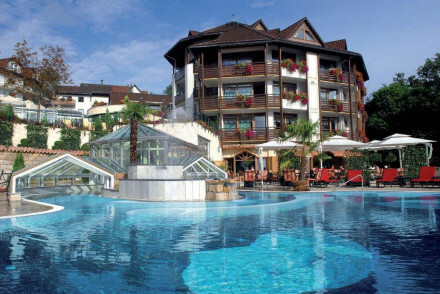 The 4* Jagdhaus Eiden is situated next to a park in Bad Zwischenahn and has private beach access to the lake. 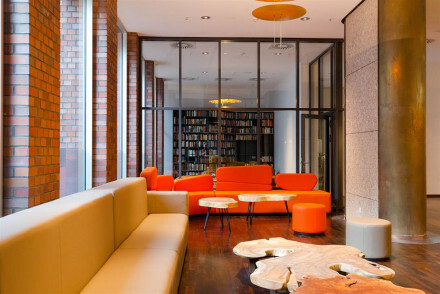 Offering smart and contemporary accommodation, there's also a spa and restaurant serving gourmet food. A great choice whether you're looking to relax or go off on action-packed adventures! A 19th century villa with uber chic interiors. Elegant monochrome rooms feature chandeliers, wooden floors and slick bathrooms. Lovely gardens, a smart bar and indulgent breakfasts. Located in the historic part of the town and within easy reach of the surrounding countryside. Local exploring - A well positioned 19th century property in Aurich’s historic Old Town district. Local markets - A farmers market takes place three times a week in Aurich’s pedestrian area. Great walks - Take a stroll through the lovely Schlosspark right opposite the hotel. 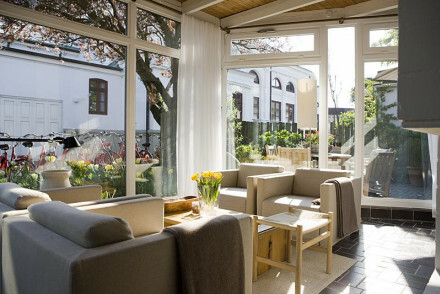 This hotel consists of a series of quaint villas and cottages, in the countryside surrounding Bad Bederska. 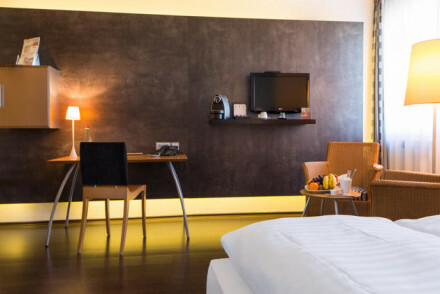 The smart rooms exude a cosy and warm atmosphere. Make the most of the indoor pool and spa facilities on site. 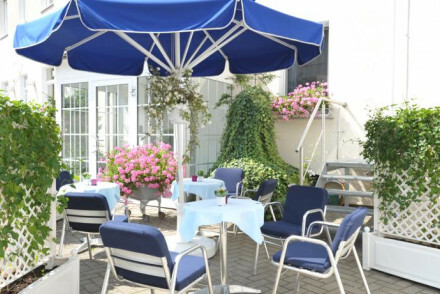 The restaurant serves excellent regional cuisine in the lovely garden. Country Escape - Perfect for a rural retreat, go on long walks through the nearby forest and around Lake Bederska. Total relaxation - With an on site sauna and massage parlour this is the perfect place to let go of it all. Great walks - Explore the surrounding historic towns and villages, lakes and rivers. A delightful family-run hotel with sweeping valley views, a gourmet restaurant, chic spa, and still very family friendly. Beautifully decorated rooms and suites with rich fabrics, wooden floors and huge bath tubs. Wine tasting, cookery lessons, and plenty to do in the outdoors. An all round spot. 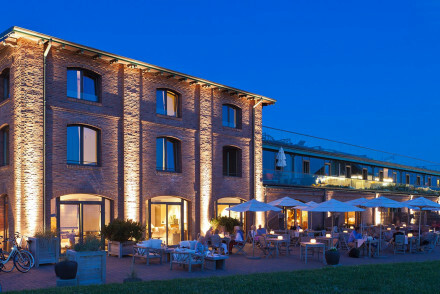 Foodies - Gourmet-Restaurant Novalis is a must for foodies and wine lovers. Views - Exceptional views of the Leine valley. 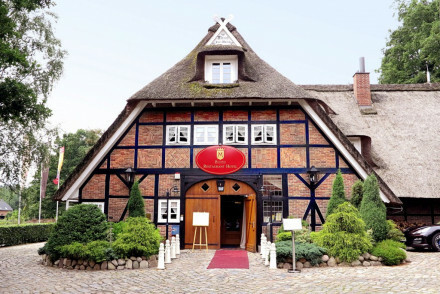 A traditional hotel that captures the feel of provincial German culture. With its rustic exterior, the hotel's comfort comes from it's modern, spacious rooms and it's relaxing spa centre. 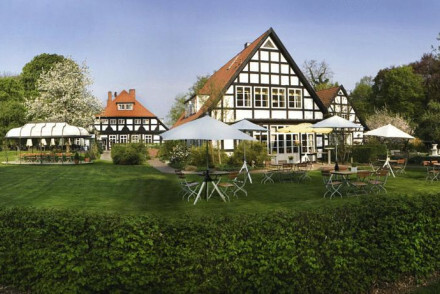 Set in the beautiful Süfheide Nature Park, it's perfect for a weekend's exploring in Lower Saxony. 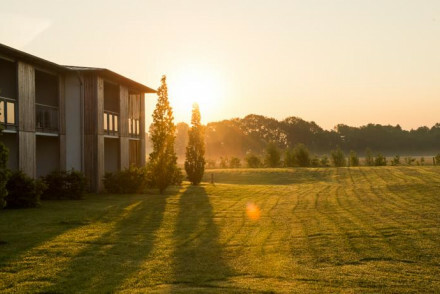 Country Escape - A charming retreat from city life in the stunning Süfheide Nature Park, with two sauanas, and a relaxation room. Sights nearby - The Wildlife and Adventure Park Müden under a mile away, a great outling for all ages. Birdwatching - Set in a National Park, this areas teams with birds and other wildlife to observe. 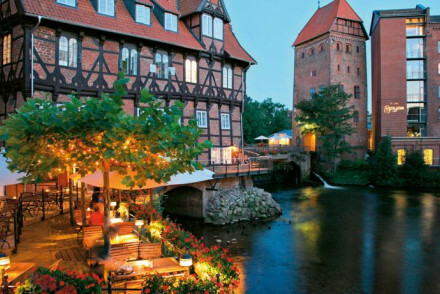 This lovingly restored half-timbered property on the banks of the Aller River seems to have sprung straight out of a fairytale. Six charming bedrooms are individually decorated in cheerful country style. Set in a large garden, the hotel is a haven of peace. Ideal for families and romantic getaways. 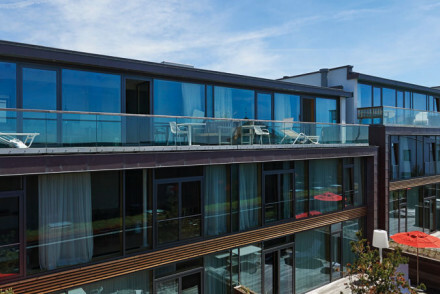 Style-conscious beachfront hotel with unique design touches, bringing the seaside in. Bright and airy suites, with sea views, lead out onto private terraces for sunbathing. Relax with a treatment at the spa, have breakfast in bed or dine in the seasonal restaurant. A fresh take on a beach holiday. 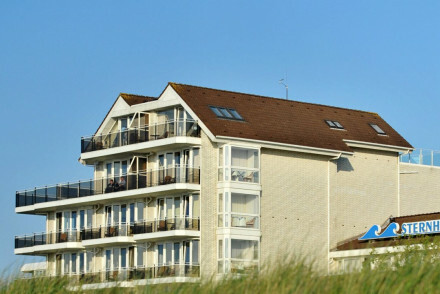 A contemporary hotel with an enviable location just minutes from the stunning beaches. Large airy rooms feature parquet flooring, contemporary art and sink-in-to beds. A small spa is the ideal place to help unwind. Indulgent breakfasts are served. A grown up haven for relaxing coastal holidays. Beach Life - Just a few minutes walk from the beach. A traditional building set in picturesque gardens. The classical exterior hides a contrasting interior, contemporary in design. Smart rooms feature floor to ceiling windows and crisp white linen. The best lead directly onto the garden. Evening fires and hearty cuisine speaks total relaxation. Bliss. Country Escape - Pretty gardens, cosy fireplaces and indulgent dining. Bliss. Great walks - Explore the hotel's picturesque gardens and parkland. 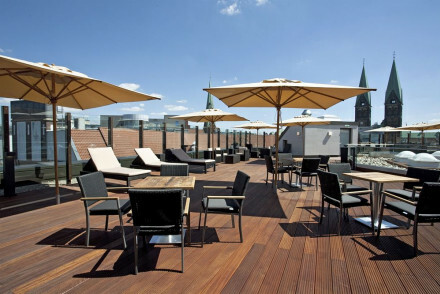 A chic luxurious hotel in a central and lively area of Hanover. 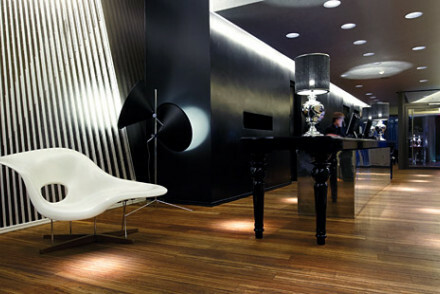 Spacious and elegant contemporary rooms with wooden floorings, leather seatings and marble in bathrooms. The on site restaurant serves an excellent breakfast, and you are within walking distance of a range of restaurants and bars. Local exploring - Perfectly located for soaking up all the city has to offer, within walking distance of the main sights and transport lines. Sights nearby - A stones throw away from the Opera House and Hannover's Playhouse. 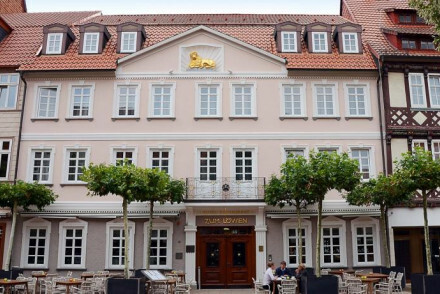 Classical hotel in the Lower Saxony university town of Göttingen. 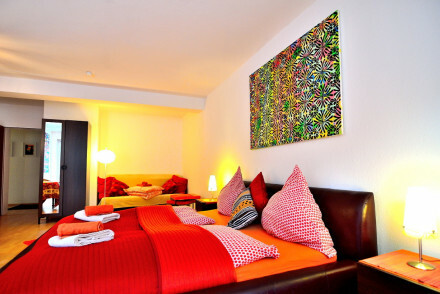 Its rooms are simply decorated and focus on optimising space and comfort. Take a booth in the hotel's charming, traditional restaurant and enjoy a choice of delicious local delicacies. 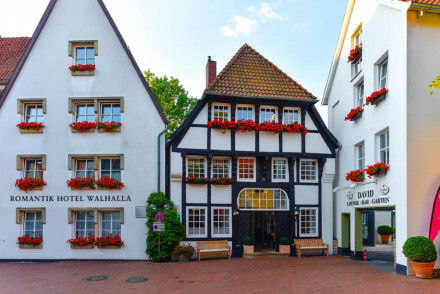 Perfect for a weekend's exploring in Göttingen. Sights nearby - Gänseliesel fountain and Göttingen University are nearby historic attractions. 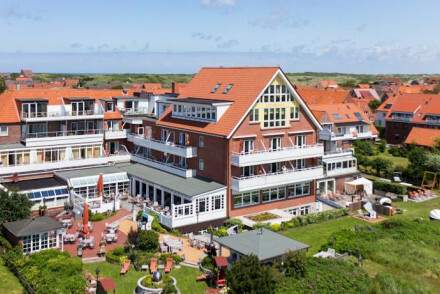 A refined 5-star hotel in Cuxhaven just a short walk from the beach, offering ornate rooms with views of the North Sea. Decorated in a Maritime style, the rooms come with oil paintings, balconies and cream-white walls. Ideal for spa holidaymakers, there is an indoor seawater pool and yoga class. Active Holiday - From yoga, Nordic Walking and Mudflat Hiking to mini-golf, ten-pin-bowling and horse riding. Swimming Pool - Indoor seawater pool. 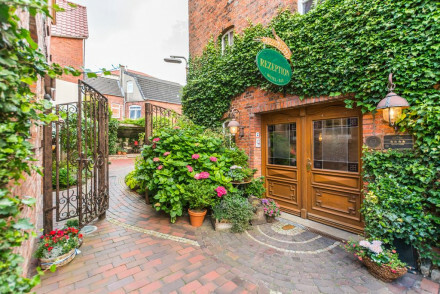 A historic hotel made up of six converted industrial buildings, in the heart of Lüneburg. Chic modern rooms with neutral tones and beautiful views of River Ilmenau. Enjoy a choice of three restaurants with riverside terraces, and a superb wine selection. A perfect base for exploring the Old Town. Romantic Break - Walks around the picturesque town, spa sessions and riverside meals in the restaurants-perfect for a spot of romance! Active Holiday - Cycling and canoeing are on offer locally or you could make the most of the on site pool and gym. Local exploring - Located in Lüneberg's old town only minutes from the main sights. Local markets - The hotel sits just a few minutes walk from the town's market square. A good four-star hotel well located just outside the city centre. Simply designed rooms feature enormous windows, sink-in-to beds and crisp white linen. A pretty flower-filled patio is the perfect place to unwind with a drink. Dine on traditional cuisine. A comfortable choice. Local exploring - Ideally located for soaking up the sights, just five minutes from the city centre and ten from the beach! Great walks - Take a stroll around the beautiful Herrenhausen Gardens just steps from the hotel. 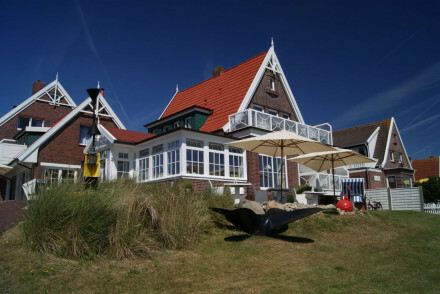 Charming hotel on the island of Juist. Elegant rooms have sea views, nautical stripes and cream furnishings. There is an indoor pool, spa and saunas. Traditional restaurant offers menu focusing on wellness, with a great wine menu. Grown up peace and quiet. 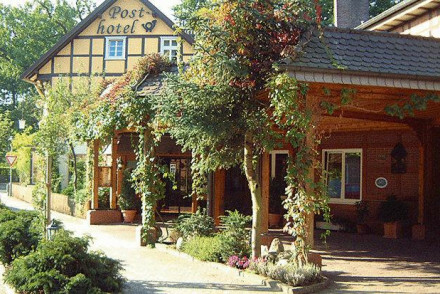 Set in the fairytale landscapes of the Harz Mountains, this excellent hotel has something for everyone. Spacious rooms, decorated in soft hues, blend traditional and modern styles. Tone the body with sports and fitness activities, relax your mind in the spa, or combine the two. Very family friendly. 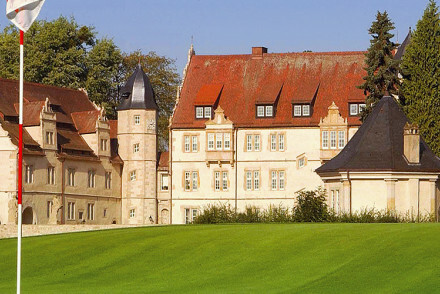 Restored 16th century castle turned luxury hotel just outside Hamelin. Individually designed, elegant rooms with parquet flooring & luxurious fabrics. Fabulous facilities including Michelin starred dining, two golf courses, pool, spa & free bikes for exploring. A sophisticated, romantic haven. Castle - A fairy-tale castle dating back to the 16th century, filled with original artworks and framed by stunning parkland. Golf - Two 18-hole courses and a driving range are onsite, with many more courses on offer throughout the region. 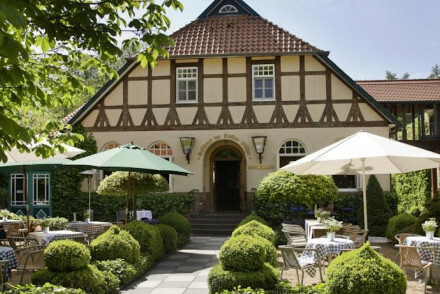 Foodies - With both gourmet Michelin starred dining and the more relaxed Shlosskeller this is foodie heaven! Spa - 18m pool, herbal and aroma baths, a sauna and a large indoor and outdoor relaxation area! 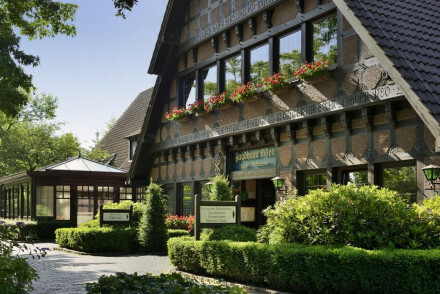 A magnificent hotel overlooking the Wadden Sea National Park. Designed to ensure intimacy and comfort, the rooms are stylish and elegant with attached patios boasting phenomenal sea views. Perfect for a relaxing romantic break. Local exploring - If your keen to explore the stunning Baltic island of Norderney and the lovely Wadden Sea National Park, this is your place. Romantic Break - A picturesque romantic escape on the Baltic sea, with intimate and elegant suites, fantastic fresh food and stunning views. Great walks - This incredible coast boasts innumerable walks and trails, soak up the ever changing landscape. Sailing - Perfect stopping point on a sailing trip around the North Sea. 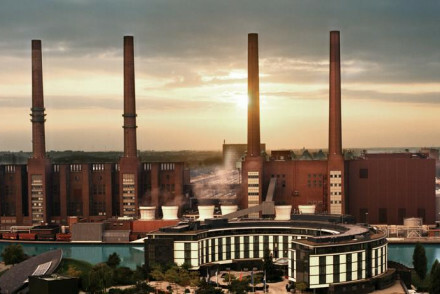 Great location in the heart of Autostadt district with elegantly designed rooms offering views of the harbour basin. Choice of six unique fine dining experiences, one has been awarded 3 Michelin stars. There are also more than 600 photographic artworks on display. Luxurious, chic and stylish.